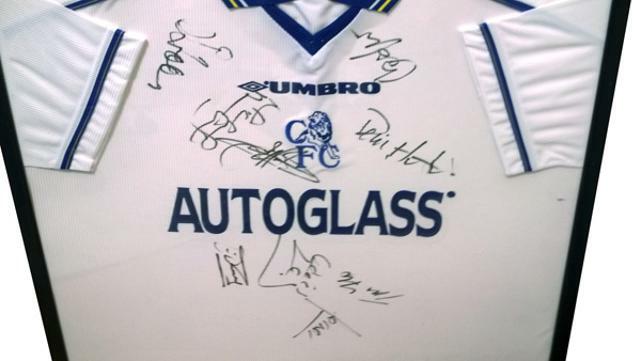 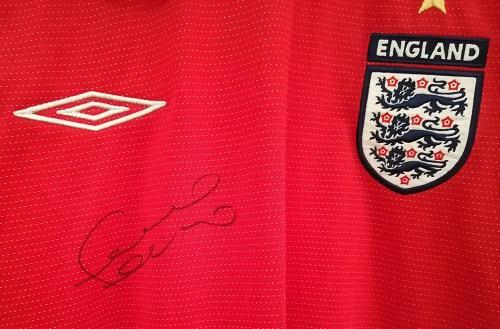 Signatures include: Gianfranco Zola, Frank Lampard, Marcel Desailly, Dennis Wise, Tore Andre Flo, Chris Sutton & Albert Ferrer. 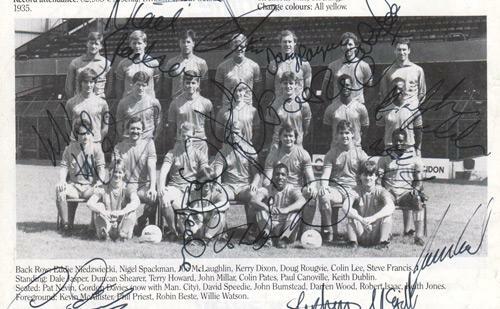 Autographed by 17 players inc: Gustavo Poyet, Mark Hughes, Dennis Wise, Michael Duberry, Craig Burley, Steve Clarke, David Rocastle, Dan Petrescu, Paul Parker, David Lee, Jon Harley, Frode Grodas, Nick Colgan, and more. 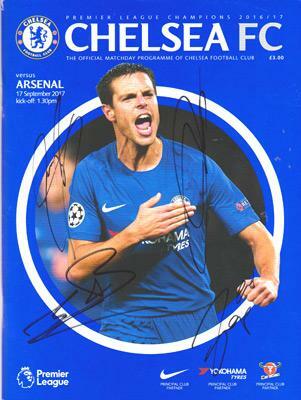 2017 Premier League programme v Arsenal - signed on cover by Gary Cahill, Victor Moses, Tiemoue Babayoko & Davide Zappacosta. 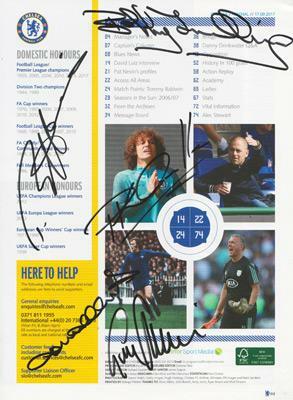 Inside page signed by CFC legends: Bobby Tambling, Ron Harris, John Hollins, Gary Chivers & Paul Canoville. 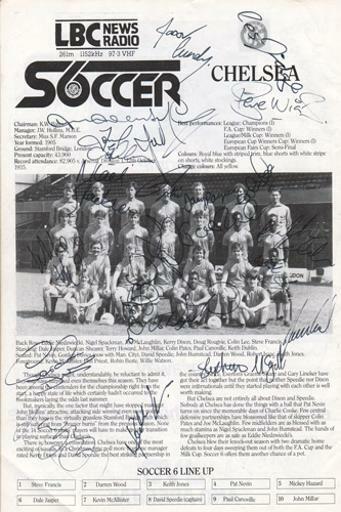 CHELSEA FC signed LBC London six a side soccer championships programme page with 20 autographs inc: Les Ferdinand, Jason Cundy, David Speedie, Nigel Spackman, Kerry Dixon, Doug Rougvie, Colin Lee, Colin Pates, John Bumstead, Keith Dublin, Stephen McGill. 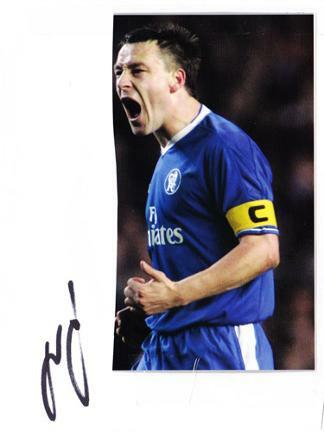 Approx Overall Size: 6" x 8.5"
Signed Chelsea FC mag pic. 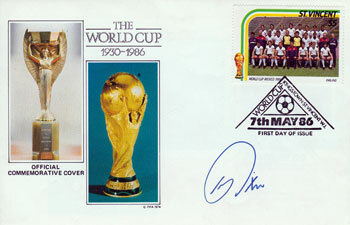 Approx size: 11.5" x 7"
Signed commemorative 1986 World Cup First Day Cover with England team stamp. 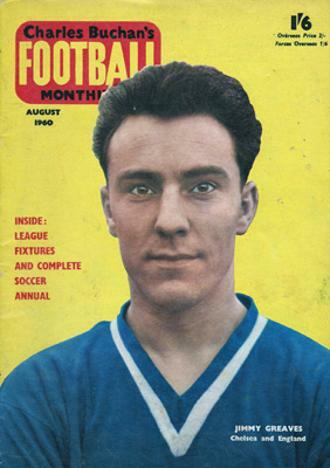 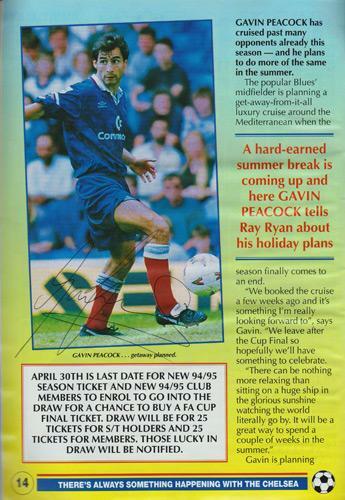 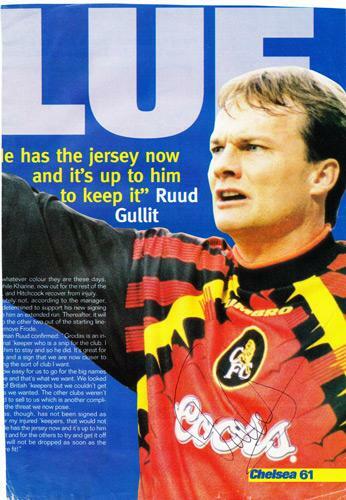 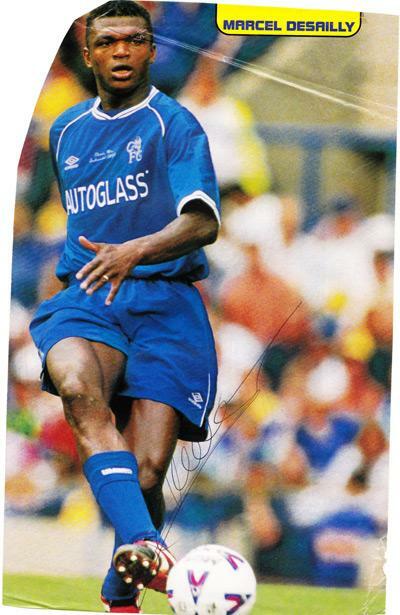 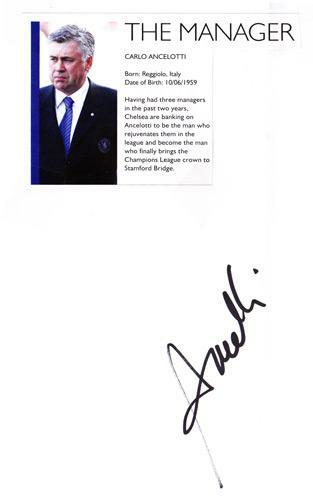 Signed Chelsea FC magazine page cut-out. 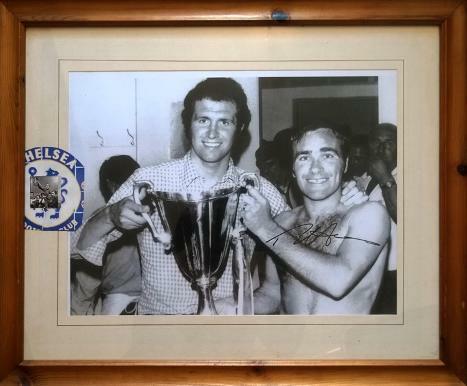 the European Cup Winners Cup. 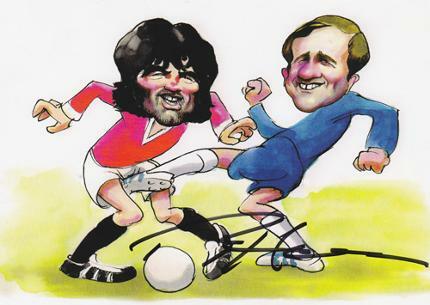 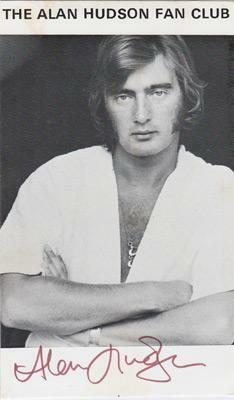 Signed caricature card "Over The Top"
Signed Alan Hudson Fan Club postcard. 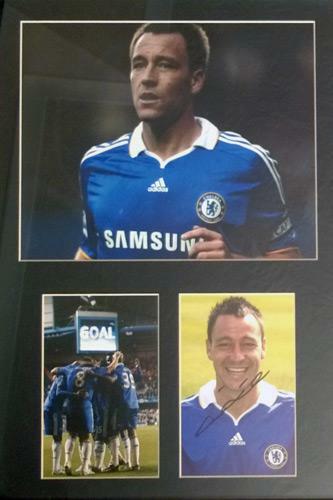 Approx Overall Size: 6.5" x 7.5"
Signed / Framed Chelsea FC montage. 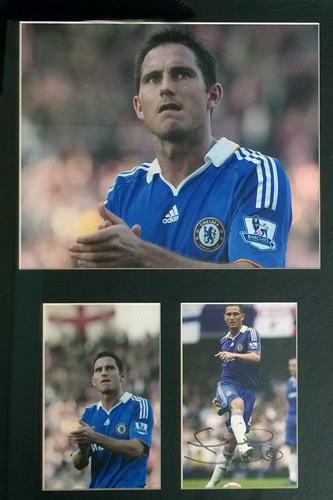 3 x Colour photos mounted under glass & framed. 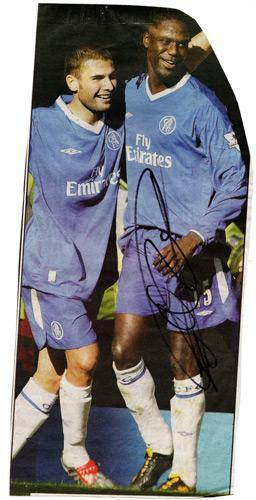 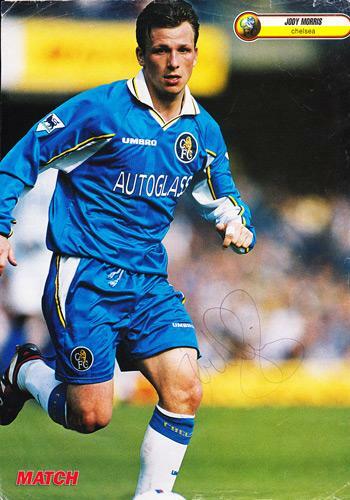 Signed Chelsea FC magazine pic. 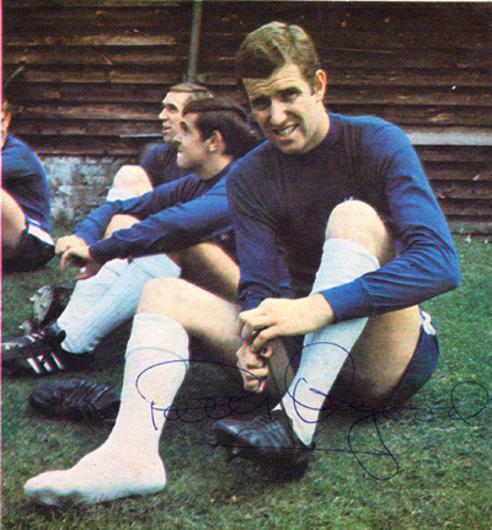 Approx Size: 9.5" x 4"
Signed 1968 football magazine pic - lacing up his boots during a Chelsea training session. 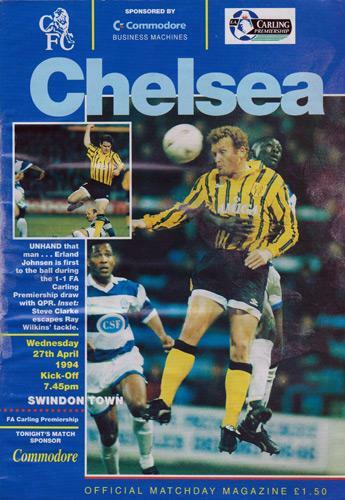 Signed official Chelsea FC matchday programme (v Swindon Town) on 27th April 1994. 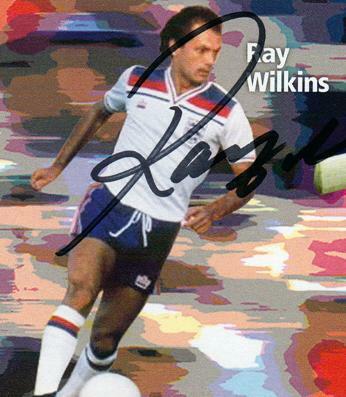 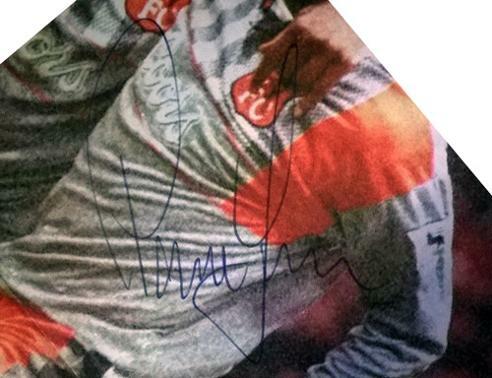 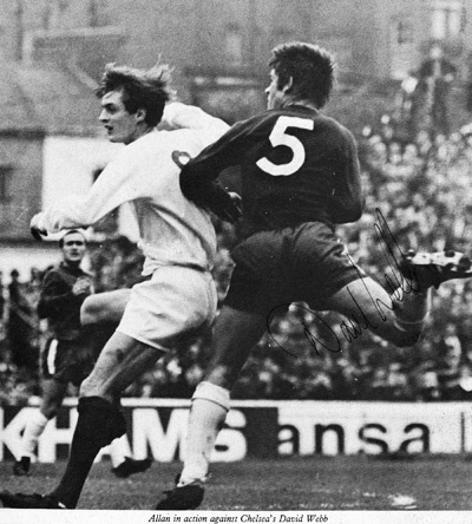 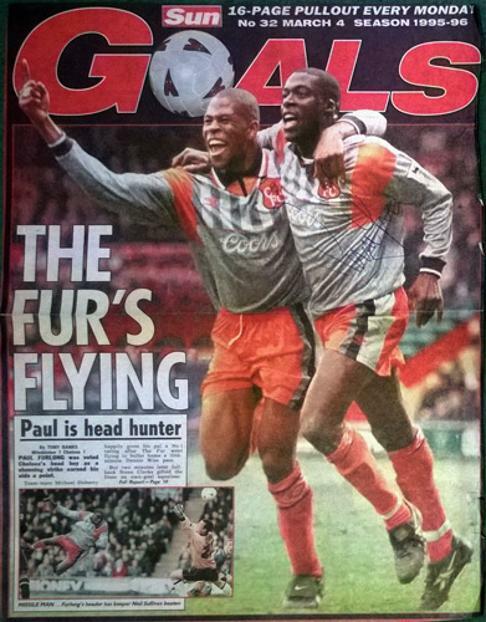 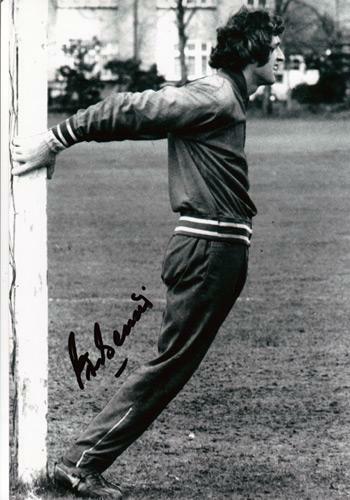 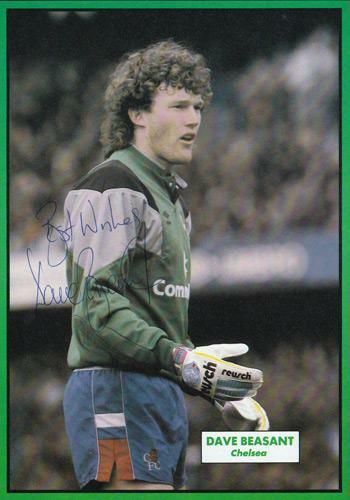 Autographed in biro - inside - over an action picture of Peacock. 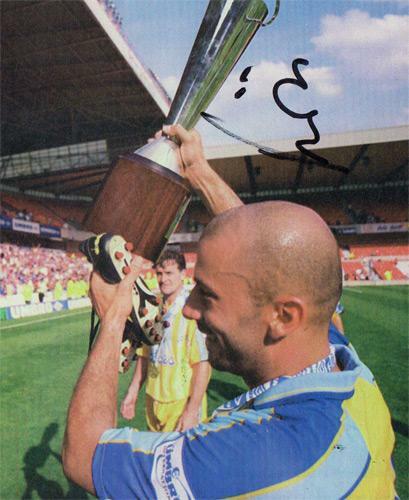 Approx overall size: 9.5" x 4"
Signed colour magazine pic holding trophy. 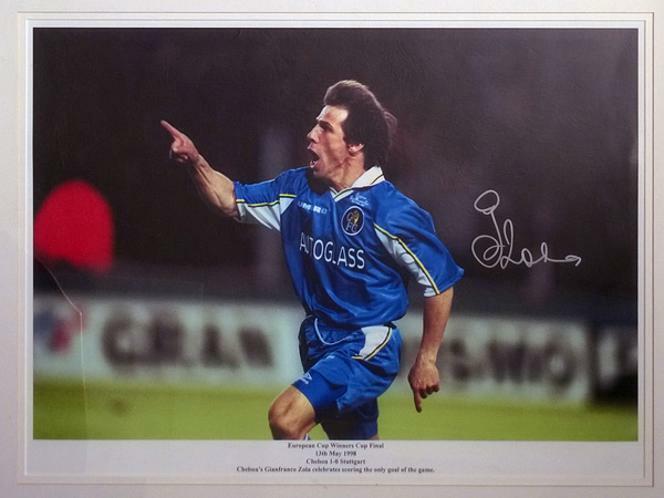 Approx size: 6.5" x 7.5"
showing Zola celebrating scoring the only goal of the game. 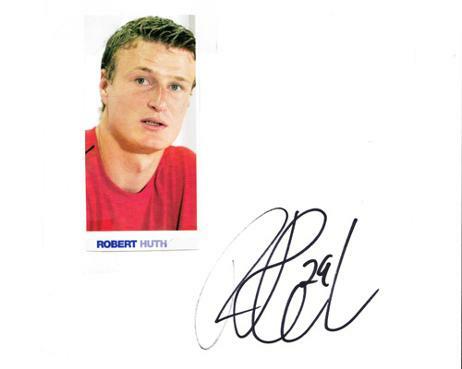 Please Contact Us for options & charges. 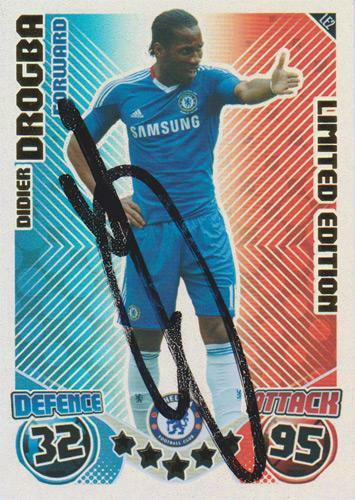 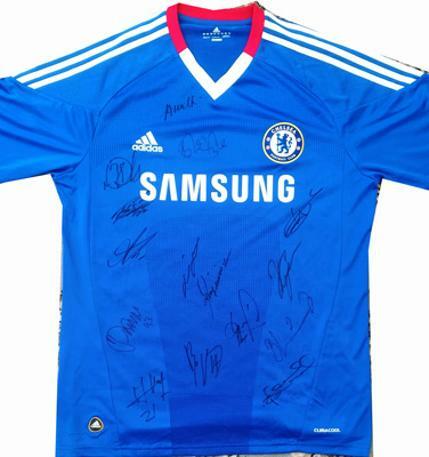 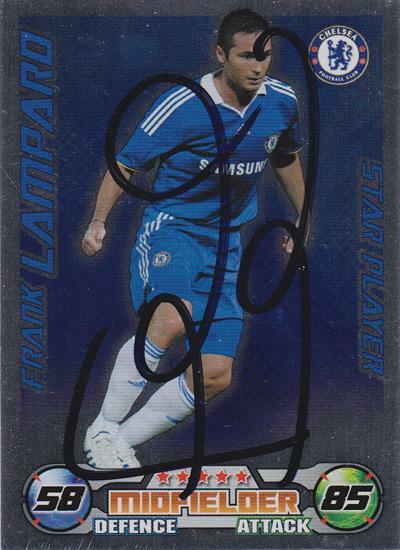 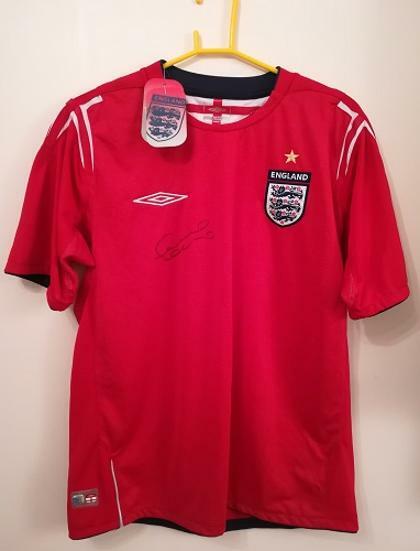 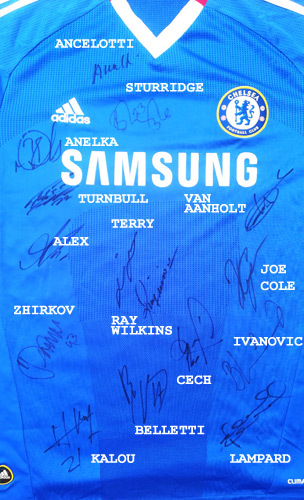 Welcome to the Uniquely Sporting Sports Memorabilia page for Chelsea football memorabilia and Chelsea FC memorabilia, and other soccer related football collectables and signed souvenirs for the Stamford Bridge football legends.